It was much more cloudy than this today. Aside from watching old Doctor Who Confidential episodes from 2005, and researching what series writer/executive producer Russell T Davies has said about a character named Adam Mitchell, I've mostly been hanging around tonight waiting for John Scalzi to post the Weekend Assignment. He's posted a notice that the thing is delayed, and my brain can't afford for me to give up any more sleep waiting for it. Ah, well. That's the price of giving up my ridiculous insistence on posting my Weekend Assignment entry every Thursday night, even if Scalzi hasn't done his part yet. Sometimes he just can't get to it on schedule, and I have to fend for myself that night. He's up against a Deadline Doom on a book, and apparently dealing with some other time crunch tonight as well, so we'll just have to forgive him! Speaking of Doctor Who (and I promise not to go on and on about it tonight), I finally got my commercial copy of the Series 3 CD on Wednesday the 28th, 17 days after I ordered it and two days after it was mailed. The online order tracking page still says my order is on hold and will be shipped in one to two weeks! It will probably say that forever. Call that customer service? 'Cause I don't. The wait wasn't horrible, considering it's an import, but the lack of accurate, up to date info from the vendor fully earns them the negative review I posted on Yahoo before the CD arrived. In the world beyond Wikipedia and Doctor Who, I did finish my edit on Chapter One of Heirs, at least until my beta readers get a look at it and I get brave about giving it another whack. The scenes after the initial sequence seem okay, so I didn't do much with them. They're all of much more recent vintage than the stuff with Rani at the river, which builds upon what I first wrote back in 1974 or so. I'm still a little concerned how long it takes to get to the moment of crisis, but we'll see what other people think. Aside from that, I've got to take something for the digestive inconvenience that's been plaguing me for a day and a half, do dishes as promised, and go to bed. Meanwhile, um, let me see if I can find a nice picture that I haven't already posted. It was rainy most of the day, and I didn't actually see anything much worth photographing, except for an experiment I'm saving for tomorrow night. See you then! "Time," he said, "is what keeps everything from happening at once." I even found someone advising not to worry about whether Einstein or Woody Allen said it first. 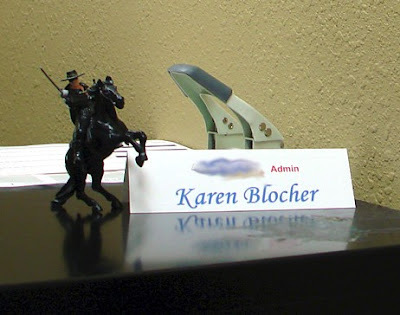 One thing's for sure, though: it didn't originate with ol' Buckaroo. I thought of the quote, or paraphrase, tonight as I cast around for something I was ready to say with respect to this seminar I've been attending. Yes, Julie, fish were thrown on a video screen, and there was also an unseen gorilla. But that wasn't really the gist of the thing. I still don't know how much I understand the details of this particular cognitive/gestalt system of self-improvement, or how much I'm willing to buy into it, or at least give it a chance. I'm only halfway through it, after all. The other half will be the week before Christmas. Some of it does seem to make sense, and I don't want my normal skepticism to turn into postmodern cynicism. 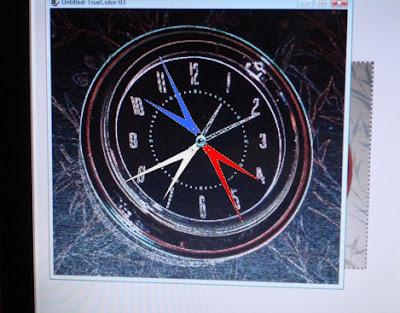 So I'll have to think it over, possibly test some elements of it, and make up my mind in the fullness of time. One particular claim that came out today seems counterintuitive, to say the least; and that's where the time quote comes in. Affirmations guru Lou Tice claims that you should write a bunch of affirmations (think of the Al Franken character Stuart Smalley, only less pathetic) in different areas of one's life, and thus improve all aspects of your life at once. The idea is to avoid being too obsessed with one thing, and being "out of balance" in one's priorities. As someone with a marked tendency to obsess over one thing at a time, I can sort of see this reasoning even as I rebel against it. After all, just a week ago I wrote about the major stressful changes in my life over a three month period. I'm sure I've read before that the more major changes going on in your life (good or bad or both), the more stressed out you'll be. I've therefore never thought it might be a good idea to work on my writing, dieting, exercise, CPA exam, finances, house cleaning, etc. all at once! But perhaps the explanation is that the affirmations thing is supposed to get you primed for your new improved life rather than just dumping the end result on you. You have a little time to get used to it, I guess. So here we are, just under a month before Christmas. The holidays are a stressful time anyway. I'm just digging out from my lack of industry knowledge at work, my dog just finished her radiation therapy for cancer, and I'm supposed to be selecting materials to fix up my bathroom. Is this really the time to start reading sentences every morning and night about losing weight, writing every night, and [third affirmation omitted here]? Sorry, but that doesn't doesn't sound right to me. Still, the writing thing is something I can do, even if I don't read about it off a 3x5 card. I finished revising the opening scene of Heirs tonight. I'm still not sure page 11 is soon enough for Something Awful to Happen to get the plot moving, but overall I'm pleased with what I've accomplished. For now at least, I plan to keep that going. On the 3x5 card labeled "Health," the one on which I wrote about good food and daily exercise and such, I also said something about seven hours of sleep a night. Yeah, like that's going to happen. If I ever do try this affirmation thing, I'm going to cross out the word "seven" and write in "six" instead. Even at that, I'm running a little late tonight. Good night! As noted briefly last night, I was unable to pick Tuffy up from the vet at lunchtime today. 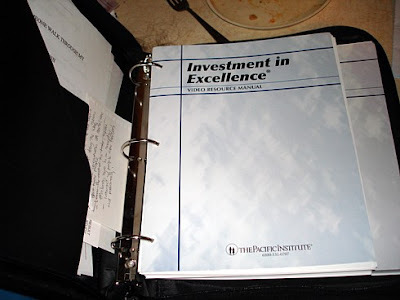 I was in a seminar all day called "Investments in Excellence," a business-oriented self-actualization seminar full of cognitive psychology concepts about affirmations and changing your tapes and such. I'm not ready to write about this in any depth, partly because I haven't yet decided what I think of it. I've got tomorrow's continuation to get through yet, and two more days in December. As a psychologist's daughter, I'm already somewhat familiar with this stuff. It was my mom's preferred form of therapy, and I've done my best to coach at least one friend to apply such concepts in the past, specifically trying to get her to replace her defeatist self-pity and self-abasement with more positive thoughts about herself, and what she can do to make things better. On the other hand, there's a certain amount of silly jargon involved (e.g. "efficaciousness" instead of "effectiveness"), and a definite element of magical thinking. I'll have more to say once I've had more time to take in what they have to say and mull it over. Pressed to participate in discussions about goals and attitudes and such, I naturally mentioned the novels several times today. The truth is that there's a lot more I can and should be doing, and I've let fear, discouragement, depression, distractions and Doctor Who get in the way. (Anyone know a word for "fear" that starts with a D?) Rather than let this neglect of my novels continue, I did put in some time and effort tonight on Heirs Chapter One, with some success. There are still some bits that bother me, but I'm not sure how much is really in need of fixing, and how much is just my inner weasel. Perhaps my beta readers will be able to help me out on that one. But at least I did something, instead of making the usual excuses for not doing it. Tuffy really didn't want to be at the vet at all today, let alone for nine hours, but it was her fourth and last radiation treatment, and we're hoping it will all have been worth our time and money, Tuffy's fear and discomfort, and the vets' and technicians' efforts. The vet and her assistants were gone for the evening when I got there, but the paperwork says that her tongue "is showing some mile ulceration secondary to the radiation therapy." It also says to bring her in two weeks from now to see whether that has cleared up. I don't know whether that's part of the initial $2000 cost that was estimated for all this, but I do know the radiation hasn't come to nearly that much money so far. Back at home, Tuffy was as hungry as I've seen her. She's eaten two of those Cesar dog food portions since getting home tonight, plus some Lunchables ham and cheese, pepperoni and (unless she buried them) dog biscuits! Hooray! That's all I have to say tonight, because of the whole need-to-sleep-now thing. Except: there was some good news today from the BBC. Rose Tyler, the "companion" character who was a huge part of the success of the revived Doctor Who in 2005 and 2006, will be appearing in three episodes next year, despite having been trapped "forever" on a parallel Earth in the 2006 series finale. Apparently fans saw her filming in Cardiff, and posted pictures to Outpost Gallifrey. From there it was picked up by a British newspaper or two, and the BBC felt compelled to make an announcement. I'm not sure how I feel about that. It's great that the character's coming back (and not displacing her successors), and kind of neat that fans broke the story. But I think I would have preferred to be shocked and stunned when she turned up in an episode, with no advance warning. Ah, well! Your Monday Photo Shoot: Show us light in a surprising way. Long exposures, interesting reflections, the play between light and shadow -- anything that calls attention to the light itself. This is very open-ended, so I'm curious to see what you all will come up with. I know I'm taking terrible liberties with the Dylan Thomas quote, which is about not surrendering to death. But just this once I'm going for a more literal interpretation. You don't mind, do you? It's suddenly winter here in Tucson - what passes for winter around here, anyway. I've finally switched from air conditioning my car to heating it, and I had to wear a sweater all day at work today. Understand, I'm not complaining: winter in Tucson is why people move here in the first place, to mark December by donning sweaters instead of parkas. More to the point, though, for purposes of the Monday Photo Shoot, we're closing in on the shortest day of the year. If I don't leave right at 5 PM - and I seldom do - then I come out into sunset, dusk or even full night as we reach the solstice. That means I've coming out of work at pretty much the perfect time to compare nature's post-sunset light show with mankind's attempts to substitute technology for sunlight. In this first shot, for example, the last light of sunset fills a big chunk of sky, dwarfing the newly lit, ineffectual streetlights. I've cropped this and cloned out a detail of horizon I don't want you do see, but I haven't adjusted the tone or saturation on this image at all. 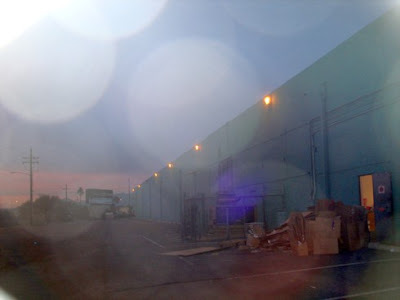 I actually took this shot before the one above it, with the same intention, to juxtapose post-sunset light effects with the lights on the side of this building. Instead I got some of those light flares that sometimes pop up unexpectedly. The shot I took right after this didn't have them. I've enhanced this image and saturated it a little bit, and smudged the sign in the background. 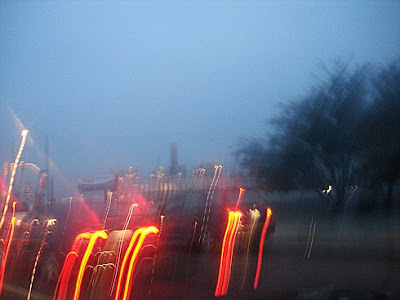 This was yet another attempt to photograph the power station lit up at night. 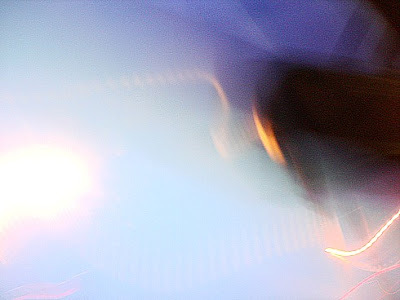 The light changed a moment too soon, and I ended up taking the photo with the car in motion. 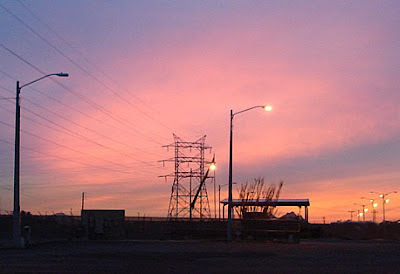 But again, here we are: the last of sunset gives way to manmade lights. I'm not quite sure what I was attempting here. I like the total abstraction of it. Again, no edit except resizing and several passes of "sharpen lightly." 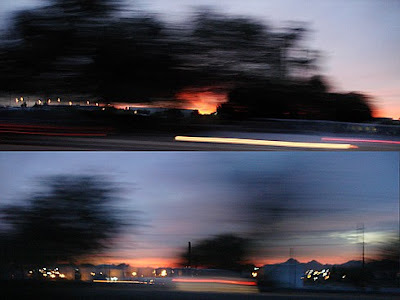 Here are two more attempts to photograph the end of the sunset at 50+ mph. I couldn't decide between these two shots, so I've ganged them together. By the time I reach Craycroft, the only light left is manmade. I did lighten this shot, and I saturated it slightly. In the morning is Tuffy's fourth and final radiation treatment. I can't pick her up afterward because I've been assigned to a seminar all day, and the powers that be would probably not be happy if I got back from lunch half an hour late. John's busy with a project at work, so he can't get away either. Poor Tuf will just have to hang around the vet's office until I can get there a little after 5:30 PM. I'm feeling guilty already! This has been another late start on the day, due to one of my long catch-up naps this afternoon. Most of what I've done since then is explore my "Recommended for You" pages on Amazon.com, as a way of building up my Wish list for Christmas at my stepmother's request. This is a frustrating, time-consuming process, and yet oddly compelling, as I spend hours trying to convince the Amazon spider to actually find things I might want rather than show the same borderline items over and over. Naturally, given my recent purchases and all the stuff I've told Amazon I own, half the items that pop up for me are Doctor Who DVDs, novels and toys. Other than that, it wants to sell me lots of lounge-era music (Louis Prima, Martin Denny, Esquivel et al. ), histories of technology, books about how to throw luaus or make cocktails, the art of Shag, well-known children's books, obscure YA fantasy, recent hit movies on DVD, guides to Walt Disney World, and bad 1970s Disney movies. When I told Amazon that we have Are you Experienced? on CD (which incidentally I've never listened to), it immediately recommended The Who and Miles Davis(!). Adding a title by James Burke (the science historian and tv presenter) to my wish list resulted in books on American history and a book of handwringing on the state of public education. Admitting to owning some Disney Treasures let to a book on how to apply Disney principles to enhance my own company's success. And so on. Still, I did eventually get it to stop recommending VHS tapes and accounting textbooks. That's a start. But why doesn't it point me at any Thurber or McCaffrey, for example? It "knows" I have books by both. Eventually it did come up with Old Man's War, so I rated the four Scalzi books I own, and added The Sagan Diary to my wish list. And that's enough for tonight. As I've been doing this, and earlier, as I messed around with Wikipedia and listened to excerpts from the Ig Nobel Awards (sponsored by the Annals of Improbable Research) on the Science Friday website, I've not been alone in the room. We've had mice in the house almost continuously for the past few years, and my office is one of the hot spots for them. Recently, one or more mice have been especially bold, running out just a couple feet away from me, and even pausing in plain sight before scurrying on. I keep yelling at this one fat brown mouse. He runs away, and reappears a few monutes later. I would take his picture, but since I grabbed the camera a few hours ago he's suddenly gone into hiding. I don't like killing mice. If they weren't disease-ridden and destructive, I'd be inclined to share the house with them. But this particular mouse both annoys and intrigues me. The finicky, old-fashioned traps, have traumatized me a few times with their occasional cruel inefficiency, trapping and gravely injuring a mouse rather than killing it instantly. I've also hurt myself slightly trying in vain to set one. Tired of being the one responsible for setting the darn things, John bought a different kind yesterday, a round, spring-loaded mouse motel-style killing device. I've set up one near the closet where the mice always merge, and one at the edge of my desk, en route to the den where they like to hang out. So far, Brown Mousie ignores them both, looks at me impudently, and goes about his business. Aargh. Becky, did you see the cost of those sinks? $1400 each! Just one of them is more than the budget for my entire bathroom! I love the colorful ones, but I have mixed feelings about the glass bowl style sink anyway. I just want a turquoise colored sink in a modern style cabinet, turquoise tiles on the floor and in the bathtub, unbroken drywall on the walls, and my existing fixtures and accessories. Even that is going to be a strain on the budget under current circumstances. Okay, it's late, and I'm clearly getting cranky. Time to say good night! Of course I just foolishly watched The Five Doctors twice through, the second time for the commentary, so it's quite late now. So here's a brief rundown on one of the issues John and I are facing on crumbling Casa Blocher, the Museum of the Weird. This is the bath/shower in "my" bathroom, the one that's just off the library and the storage room rather than the master bedroom. It's never been restored since an anti-mold crew removed the wallpaper and gouged the walls two years ago. 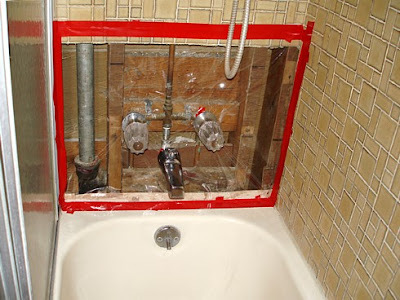 A week or so ago, John replaced the faucet handles on the tub, one of which had cracked and would no longer turn off properly. A few days ago, the tiles started coming down. So John cleared out some tiles, and covered the area with plastic and tape. 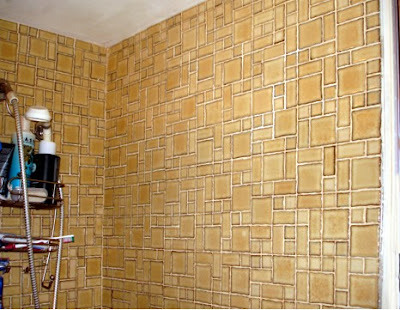 Today we went to look at tiles to redo the bathroom, or at least the bathtub walls. 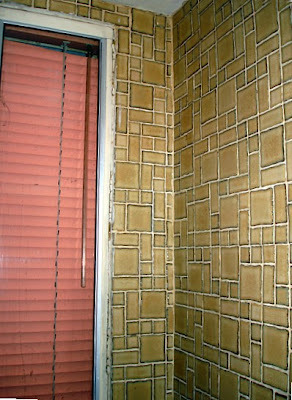 John insists on calling these ucky ochre tiles "green." They do have a greenish cast to them, but really they're sort of a brownish yellow. I kind of like the style of them, but the color has never been good, whatever you decide to call it. They are offset by a white tub and toilet, salmon blinds, a pinkish-beige sink, brown cabinet and a terra cotta floor. Add that to the wallpaper that used to be there and you get a whole mess of colors that don't quite work together. At one time I wanted to redo the bathroom in industrial futurism, with lots of gray and silver and chrome. I've long since changed my mind, however. I want to retile now in turquoise (actually the tiles we found today are labeled Azul), edged with white and maybe yellow for the Mâvarin color palette. Right now I'm leaning toward a row of yellow at top and bottom, a double block of azul along the edges of each wall, and the rest in white. But really we'll have to measure and plan, and maybe find a program for previewing rooms according to shapes and color schemes. We haven't found a good floor tile yet, or a sink, or a cabinet in the right color. The truth is that it's very hard to get colorful fixtures in Tucson, AZ. When I was a kid, there was a chain called Color Tile. They're long gone, but what we need is a company that fulfills the promise of that name. Unfortunately, 90% of the tiles we saw today at Loew's and Home Depot are beige and tan, terra cotta and brown. Phooey. We want 1950s colors for our midcentury home: turquoise and salmon and such, not an endless supply of earthtones. "So when can we go shopping in the 50s?" John asked. The first-ever producer of Doctor Who, Verity Lambert, died on Thursday, November 22nd. It happened to be the day before the 44th anniversary of the show's premiere, which took place the day after the assassination of JFK. I don't actually know all that much about Verity Lambert, but she must have been extraordinary. According to the story on Outpost Gallifrey, the fan-based news site from which I inadvertently swiped part of the name of this blog, Lambert was only 27 years old when she first produced Doctor Who, and the BBC's only female producer. This was in 1963, when a woman in charge of anything other than a classroom was still a rarity. 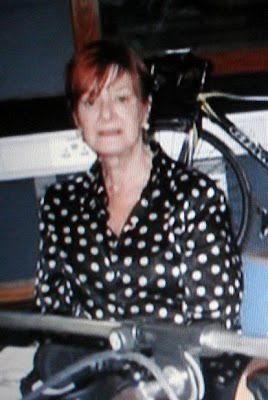 (Another pioneer, Delia Derbyshire of the BBC Radiophonic Workshop, also contributed to the show's success, developing Ron Grainer's musical theme for the series into the iconic otherworldly sound that launched each episode.) Working with show creator Sydney Newman, writers Anthony Coburn and David Whitaker and others, Lambert took over a show that had been in development for a while, and got it onto the air. She's the one who cast William Hartnell as the first Doctor, and seems to have had a fair idea of the right mix of history, science and fantasy to ensure the show's success. Lambert went on to form her own company, Cinema Verity, and produced many other television shows (including Rumpole of the Bailey and Jonathan Creek) and even some films. She won a number of awards over the years, including one lifetime achievement award that will now be presented posthumously. 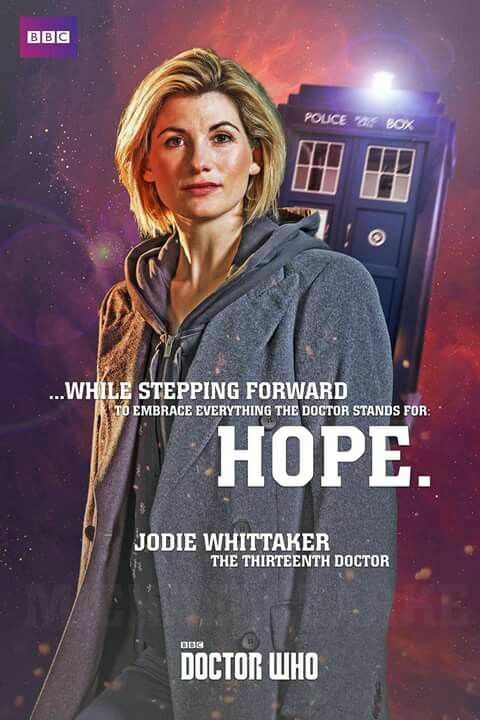 But her name will always be most associated with her first big success, Doctor Who. She has been interviewed for various Who-related documentaries over the years, and just this season was honored in the revived series itself. 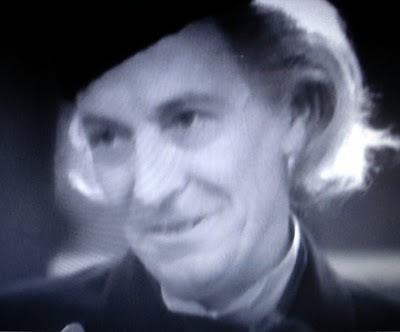 In one scene of the episode "Human Nature," the Doctor's human persona, John Smith, tells Joan that his parents' names were Sydney and Verity. He was more right than he knew. For the 44th anniversary of Doctor Who, I listened to the new soundtrack at work, and then took a long nap before embarking on some late-night television. John and I watched the original pilot episode, "An Unearthly Child," and the corresponding first episode of the first serial as it actually aired. 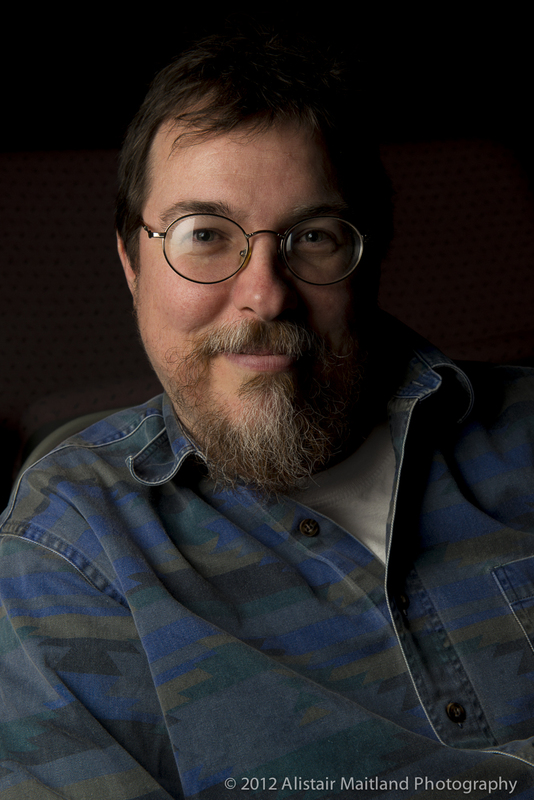 John noted that the main difference between the two was to make the characters more likable and accessible, although some details of the backstory were tweaked as well. Then we watched some comedy sketches from before the show's revival, several of them involving Mark Gatiss. These included "The Pitch of Fear," a fictional origin of the series; "The Corridor Sketch," which among other characters featured a parody version of Verity Lambert; "The Web of Caves," in which the Doctor (Gatiss) arranges to stop a would-be villain the following Wednesday; and "The Kidnappers," in which a deranged fan abducts Peter Davison and takes him home to his equally obsessed roommate (Gatiss again). Next up was the last two episodes of The Sarah Jane Adventures, a Doctor Who spinoff about former companion Sarah Jane Smith. For "The Lost Boy," the show's producers changed the paradigm a bit, bringing the father of teenaged co-lead Maria into the thick of the action, revealing that one character has a hidden agenda, and bringing in an old friend to help save the day. Good stuff! SJA is more consciously oriented toward children than Doctor Who itself, which gives it a little less dramatic oomph than the parent show; but it's still worthwhile. I don't know whether it will ever air here, but it's the highest-rated show in the history of the digital CBBC channel in the UK. Another Doctor Who spinoff, Torchwood, is the highest rated series on BBC America. See? I'm not the only American obsessing about this stuff! Being the Doctor is hard work: the Tenth Doctor in a coma, Christmas 2005. After "The Lost Boy" I watched bits and pieces of other things, including parts of the Tenth Doctor's earliest and latest appearances. 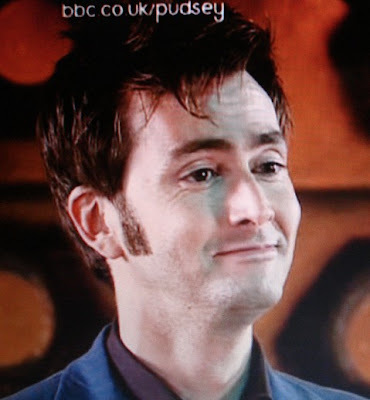 David Tennant is visibly older now than he was in the 2005 Children in Need Special and in "The Christmas Invasion." I have to wonder how much of that is changes in the character's portrayal (hair, clothes, makeup, even acting choices, as the youthful, relatively happy Doctor becomes darker and sadder), and how much of it is wear and tear on the actor himself. I could joke about it being evidence of Tennant's participation in the Midnight Rep, the theater company in Sarah's and my serial "Later This Somewhere," but the truth is more obvious. 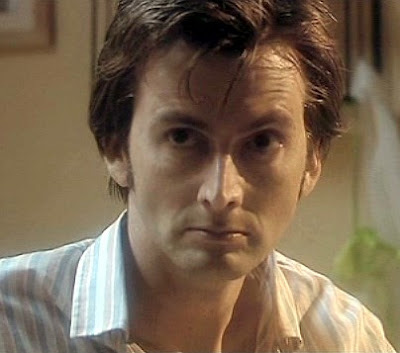 Filming ten months of the year, Tennant consistently expresses his enthusiasm for the role, but acknowledges that it's a long and exhausting process. "It is all-consuming, this job," he acknowledges in one of his video diaries, as seen on DVD. "I think all of us on it are aware that we can't work at this pace forever, that it's a very particular time, one to be enjoyed and relished. But you also have to know when to stop, I think. Or it will kill you." But he's not leaving just yet. He's filming the 2008 series now, and has signed on for a few specials in 2009 rather than a whole series, which frees him up to play Hamlet for the Royal Shakespeare Company next year, and also appear in Love's Labour's Lost. I'm not a big fan of Hamlet, but I really wish I could see him in the comedy. I love Shakespeare comedies. But even if I can't see it, at least it means he gets to do something else that's interesting and prestigious and important, and doesn't have to leave Doctor Who prematurely. "I still feel very lucky to be doing this job," he says at the very end of the video diary. "It still feels like a privilege, and a right laugh.... See you next year." Thank you, Verity Lambert, for helping to launch something extraordinary that has enriched millions of lives over the past 44 years. I met many of my friends through Doctor Who, and half of my professional writing credits are Who-related. So I hope you'll forgive me, those of you who aren't Doctor Who fans, if I go on about it a little too often. Weekend Assignment #191: When do you personally start celebrating the holiday season? Do you get into it at midnight of the Friday after Thanksgiving? Do you wait? 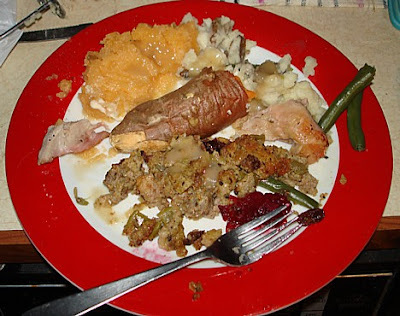 Is Thanksgiving annoyingly in the way? Share your thoughts! Extra Credit: Do you dream of a White Christmas (or Hanukkah, or Kwanzaa, or Winter Solstice, etc), just like the ones you used to know? As far as I'm concerned, the holiday season begins with Thanksgiving Day, because that's one of "the holidays." (Once as a kid I explored the idea of Halloween being one of "the holidays," but I was overruled.) It's linked to Christmas by turkey and (in some households) rutabagas and Pumpkin Anything, by pre-Christmas advertising and holiday specials and Santa Claus at the end of the Macy's Parade. The Thanksgiving and New Year's Day parades are the bookends of the holiday season. 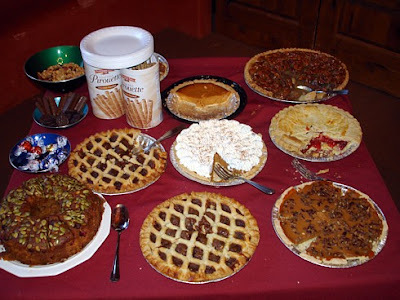 Thanksgiving also kicks off the holiday overindulgence season of parties and cookies and candy and pie, necessitating all those New Year's resolutions about dieting and going back to the gym. Of course, some of the 2007 Hallmark ornaments have been in stores for several months, and I've looked at those. I've seen Christmas decorations in Target and looked at musical Christmas trees at Loew's. My stepmother has already passed on a request for a Christmas hinting list, and I promised to take care of it over the weekend. From here on out I'll probably hear a lot of Christmas carols, and that's okay. Meanwhile, the religious side of Christmas begins a week from Sunday with the first Sunday in Advent. But you know what? Just because the season has started, it doesn't mean I'm under any obligation to jump right in with the carols and the shopping and the parties. I basically don't do parties, and I don't think I've ever gone Christmas shopping on Black Friday. I've always worked that day, except for a couple Thanksgiving Fridays off without pay (except by taking a vacation day) at Worldwide Travel and FMFC. Even then I didn't go shopping. And I don't generally pull out my Christmas CDs until well into December. Don't rush me. I'll get there. Forcing the holiday on me before I'm ready doesn't increase the Christmas Spirit, only the stress. So. Recap. First day of the Christmas shopping season, according to the culture, is Black Friday, but some people start on December 26th the previous year, Hallmark starts over the summer, stores start around November 1st and really get rolling tomorrow. But none of that matters to me, one way or the other. I'll shop when I'm ready. As long as everyone gets their gifts on time, I don't have to be synched up to the culture in that respect. Holiday music is tied to the shopping. Advent and the Feast of St. Nicholas are tied into the church calendar. And me, I'm mostly just tied to the emotion of it. When I feel it, I'll start celebrating. And if I don't feel it, I'll start faking it, somewhere around December 15th. Meanwhile, here are a few pictures from this first holiday of the holiday season. The first three are from the Thanksgiving pot luck at St. Michaels. It was great! 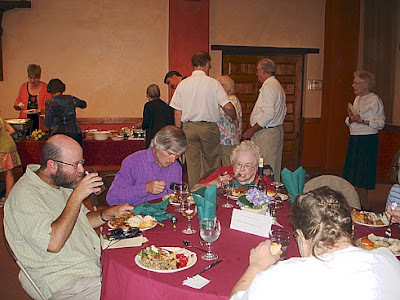 Most of my friends from church were there, and people ate about half of my rutabagas and said nice things about them. I got to try several kinds of Pumpkin Anything, including a slice of pumpkin pie that I stopped eating the moment its baker bragged about whiskey being one of the ingredients. Burned off or not, I hate food made with alcohol. It tasted like flan - the kind of flan I don't like, not the harmless kind from Safeway. The thing is, I was right in my Monday night rant about Thanksgiving. It really isn't meant to be a celebration for two. Considering the holiday's origins, it was very appropriate that I was in church this morning with friends, singing "Now Thank We All Our God," the only one of the three hymns of the day that wasn't about three notes too high for me to sing properly. 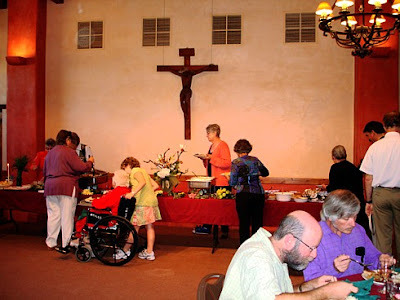 I enjoyed my friends' company and my fellow parishioners' food, in a spread every bit as good as the really expensive holiday brunches, and better than the Marie Callendar's meal we had to wait an hour for one year, even with reservations. And here is my second helping of the meal I made afterward at home. John only had white meat and green beans, but I had the full works. I also managed to break this plate a couple hours later, setting off one of those inevitable stressful scenes that seem to ruin most holidays for me. Still, the food came out well, and John got the food he wanted, and Tuffy really does seem to be eating much more readily as of today. Yay! Oh, and the White Christmas thing? 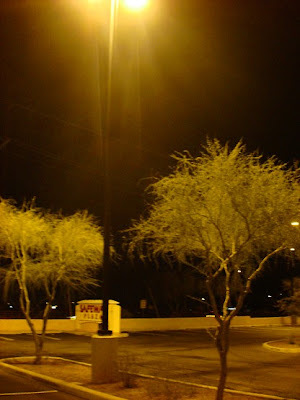 I've gone on about that several times in this blog and its predecessor, with words and pictures about one of the very few white Christmases in Tucson since they started keeping records. It was in 1986 or 1987, I forget which. But when I was a kid, I remember more snow at Easter than at Christmas, probably because Syracuse weather is just that perverse. I remember a few 50 or 60 degree Christmas Eves, remarkable for Syracuse, thoroughly ordinary here. Actually it's usually warmer than that in December in the daytime here, averaging almost 65 degrees, according to this chart. Yes, I get all excited on the rare occasions it snows here, but I had nearly a lifetime's worth of the stuff in Dewitt, Manlius, and Syracuse NY and in Columbus OH. A snow-free Christmas in Tucson is fine with me. One thing that does bother me, though, a little. Why is it that every song with snow in it becomes a Christmas song, whether Christmas is mentioned or not? Even in Tucson, where snow is rare, I'll soon be hearing about the bobtail nag and the weather outside that's frightful, the claim that there are "no cabs to be had out there," and the the snowman who impersonates Parson Brown. Then maybe I will miss the snow, just a little, the more so because I'm singing along and it's 75 degrees. Then on December 26th, whoops! Can't play that song; it's a Christmas song, and Christmas is over! The fact that Christmas isn't even mentioned in the lyrics makes no difference to the pigeonholing. Phooey. Maybe I should declare that the holiday season ends when the snow...I mean, comes back if...aw, the heck with it. Tomorrow I'm bringing rutabagas to the Thanksgiving potluck at St. Michael's. It takes a while to prepare them, so I took care of that tonight. I decided to take pictures of every step of the process to show you, in case that's less boring than it sounds. Here we go! 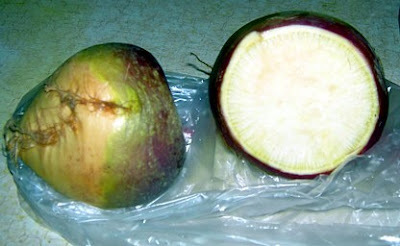 In recent years it's become hard to find a decent-looking rutabaga around here. They never quite look right to me somehow. Sometimes I end up with little runty, slightly wrinkled rutabagas, or colors just a little off what I think I remember, leading me to think I'm accidentally buying turnips. 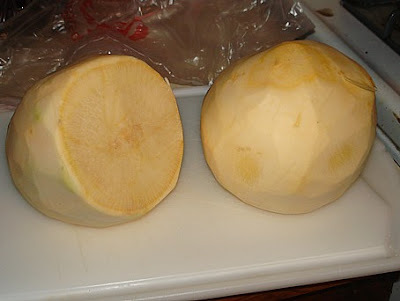 On Monday, though, Safeway's rutabagas confused me in a different way by being tough, overgrown giants. I have to say that they didn't look very appetizing. First step, of course, is to peel them. This immediately made them look a whole lot better, more uniform and more like food. Then I cut each one into eight chunks. This is much harder than the peeling, at least with the knives around this house. Rutabagas are much tougher to slice through than potatoes. Here they go, into the soon-to-be-boiling water. Cooking time depends on the size of the chunks, how hot your water is and so on. I think I cooked these for about an hour, but I didn't really keep track. 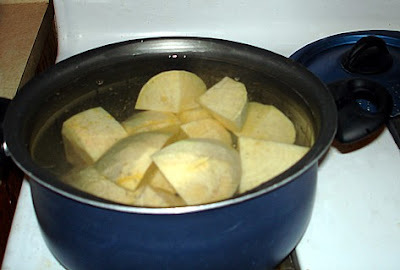 The idea is to boil or simmer them until a knife cuts through the pieces easily. Rutabagas aren't ever going to be as mushy as an overcooked potato, but you can get close to the consistency of a ready-to-mash one, and should. By the time they finish boiling they're nice and yellow. I mashed these with a regular metal masher, a little butter, milk, salt and pepper. Don't ask me how much of each I added. I never measure. But you're going, again, for roughly the same consistency as mashed potatoes, so add the other ingredients accordingly. I suppose one could add cloves or something, but I never have and probably never will. You can also fluff them up a bit with a blender or mixer, but I seldom bother. I didn't this year. 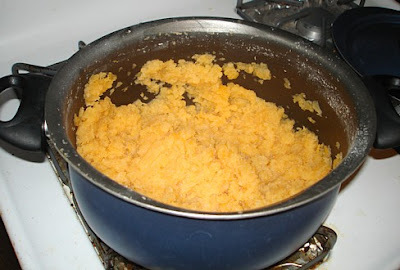 Ideally, mashed rutabagas should be served with mashed potatoes, turkey and gravy. Rutabagas actually taste better mixed about half and half with mashed potatoes than they do alone. 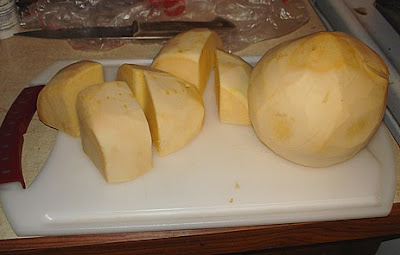 It's a fairly strong flavor, and cutting it with potatoes helps a lot. Bedtime. 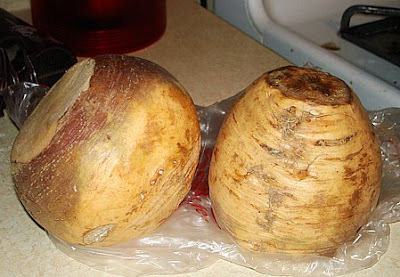 I'm bringing the rutabagas to the church kitchen tomorrow reheated in the blue pot. They'll probably end up room temperature, but oh well. There will probably be gravy to heat them up again. Happy Thanksgiving, folks! And good night! Update: they liked them! Not everyone ate some, but several people mentioned loving rutabagas, and one or two had them for the first time. Yay! There are nights when I spend hours working over an entry, whether it's a photo essay, a real essay or just a longish rant. There are other nights when I fob you off with a photo and a couple paragraphs of news. Guess which kind tonight's entry is. Hey, I have to leave for work in five hours! It actually came out pretty well, though, so read on. The photo above is literally what the subject line of this entry says it is. 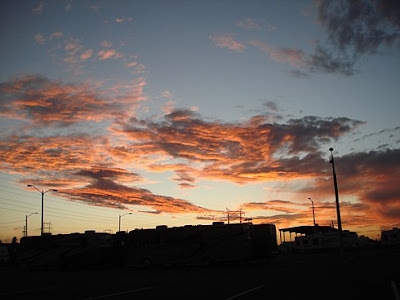 When I walked out of work tonight, there were still deep reddish streaks in the sky. By the time I passed the obstructions between me and the sky, got in my car and made it to an intersection, it was over. Sunset was gone, replaced by dusk. 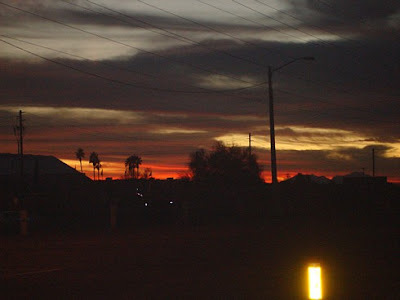 But I'm happy I managed to snap that last bit of color before I drove toward Palo Verde and Irvington. I'm sure there's a good metaphor in there somewhere, some variant on Carpe Diem that I could upliftingly apply to my life and yours if I worked at it for a bit. Today was Tuffy's third radiation treatment out of four. John bathed her early this morning and took her over. They called at 9:30 AM to say she was ready (so soon? ), and rather than make her wait around I told someone where I was going and drove right over. And waited. Dr. K. was considering our oft-expressed concern about Tuffy not wanting to eat anything except new-extreme treats such as hot fresh chicken or McDonald's hamburgers. She examined Tuffy's tongue and didn't see much sign of inflammation, but figured it was bothering her anyway. So she prescribed prednisone, of all things. That's supposed to reduce her discomfort and increase her appetite. So far it hasn't, but she's about to get her second pill, hidden in pepperoni. Dr. K. was amused that both John and I have taken Tuffy to McDonald's (John did so last night). 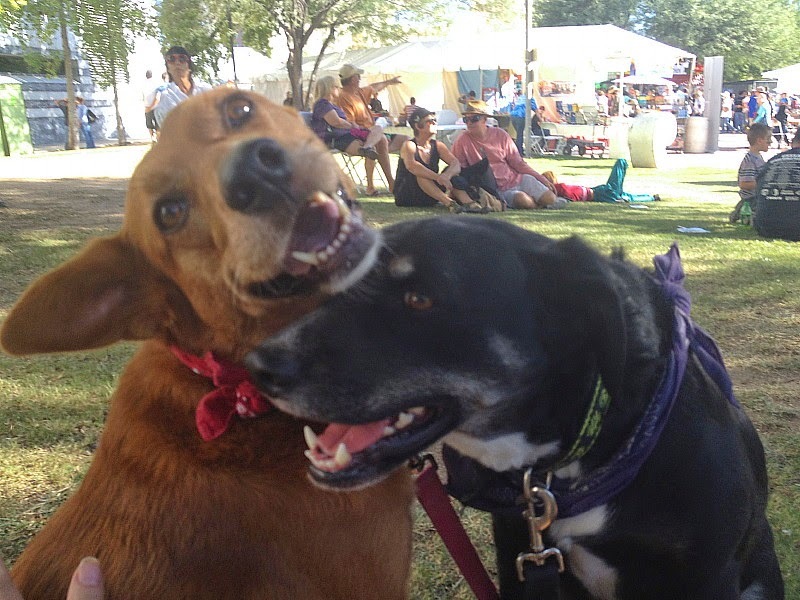 "Dogs love McDonald's," she said. "Only McDonald's, though, not Burger King or anywhere else. And it's fine. The main thing is to get her eating. It's all about quality of life." Yes, that's it. I want Tuffy to have a good life with us while we have her, and us to have a good life with her. I want to enjoy and appreciate her, and I want her to enjoy Cesar dog food and McDonald's hamburgers. But the kid at the drive-through at 10:25 AM said they were only selling breakfast. No McDonald's today, Tuffy. Sorry. Maybe after work (Wednesday) we'll have hamburgers together. Something about seizing the day. Or the last moment of sunset. Your Monday Photo Shoot: Show something you're thankful for this year. It doesn't have to be the thing you're most thankful for; even the little things count. But of course, picture whatever you'd like. Faced with a similar question list year, I talked about John, and how I'm thankful he still puts up with me. He doesn't allow me to post photos of him, however. At this moment I can't really use the word "thankful" in connection with the other member of this household, Tuffy, for obvious reasons. So let's proceed to the next layer of gratitude, shall we? Remember all the changes in my life that I was going on and on about the other night? Well, not all of it was bad news. Of all that's happened over the last several months, the thing I'm most thankful for is that in the whirlwind jobs interviewed for, jobs offered and jobs taken in the wake of FMFC's collapse, I was only unemployed for a total of eight days. I stepped into my current job directly from the temporary one at - what did I call it here? 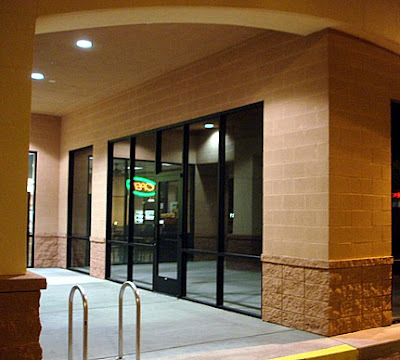 - Anonymous Regional Retailer (ARR!). In celebration of the fact that I have a good job with interesting work, decent benefits and a very nice boss, here are (I think) the first pictures I've posted of my office at Famous Vehicle Dealer. 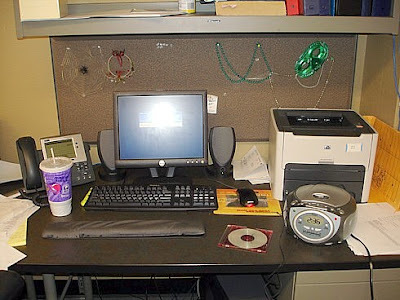 Yes, that's another thing I'm thankful for - I have my own office instead of a cubicle. In this first shot, nearly everything on the gray board thingy is left over from my predecessor. My only addition is the plastic spiderweb, left over from Halloween. The office is so bare that I decided to leave that up. The clock radio on the right, on which I haven't bothered to set the time, I brought in just recently so I can play the Doctor Who Series 3 Soundtrack through headphones. I'm sure I'll eventually bring in more music, but right now I only have 3 CDs at work, one of which I tend to pop out and listen to in the car as well. "The Carrionites Swarm" has become the soundtrack of my heroic attempts to drive to and from work in heavy rush hour traffic. Incidentally, I ordered a commercial copy of the CD online over a week ago, but the vendor has neither shipped it nor provided a reason why my order is "on hold." I assume it means they either are out of it or never had it. Phooey. My desk again. Messy already! But actually the papers are organized into related piles. Sort of. The box on the floor is for shredding and recycling. 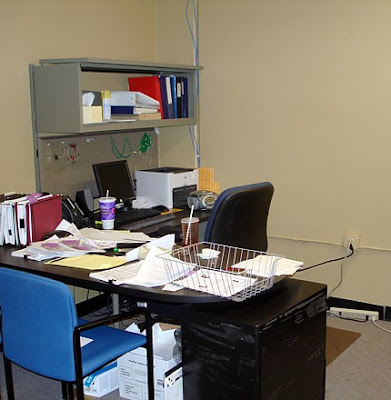 Notice the bare walls. I brought in my Mary Poppins calendar, but that doesn't do much to fill up all that sterile blankness. It's also not a very good calendar, but that's beside the point. Now that my predecessor is gone, I could decorate, but with what? I'm not exactly going to hang my 30" x 24" pastel portrait of the Eighth Doctor. What can I possibly bring in that's both professional-looking and relevant to my interests? And there's this, too: I somehow managed to leave irreplaceable photos (and replaceable printouts) at FMFC on that last sad morning, and never got them back. I think maybe that's making me hesitate to bring in photos now. I do have Tuffy on my computer desktop, though. 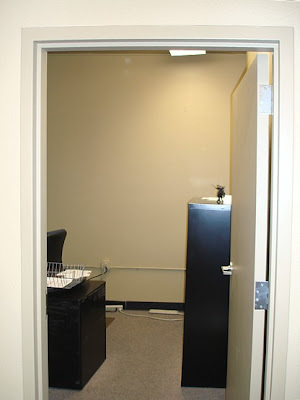 One bit of decor that did make it from FMFC to FVD can be seen from the doorway. Can you spot it and identify it? Yes, it's Zorro! My hero reminds me to be bold, clever, just, and ethical. That's a lot to live up to, but I try. I have to admit, I'm not so good on the boldness. This is the time of year when people gear up for the holidays. In the U.S., people are planning their Thanksgiving dinners. How many people are coming over? Is this turkey going to be big enough? Does everyone like creamed onions (or yams or rutabagas, or raisins in their stuffing)? What time do I tell them to get here? When does his flight get in? And so on. Alternatively, people are on their way to other people's shindigs, visiting Mom or daughter or maybe just a close friend who likes to cook. And then there are the rest of us. Time and distance and money and death preclude travel "over the river and through the woods" or, far more likely, across the country via ORD, DFW or ATL. Nobody in town is going to feed us unless we pay them to do so, either making reservations ahead or standing in a buffet line or both. So we go out or we cook in - not for twenty people, or ten, or even five, but for one or two. And when friends and co-workers mention their big annual shindigs, we nod with frozen smiles and pretend that our Thanksgivings will be equally splendid. But the truth is, they won't be. Those big family gatherings are a lot of work and highly stressful, but almost certainly worth it. The one-or-two-person Thanksgiving simply can't compete, and ends up being kind of depressing. Or is that just me? 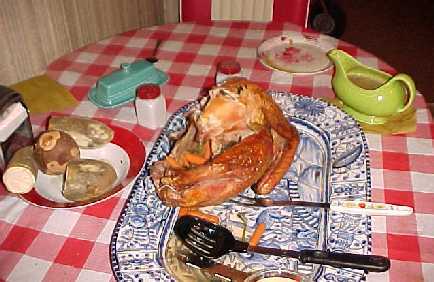 Case in point: the turkey in the first shot above is from Thanksgiving, 2004, probably the last time I made a full-blown Thanksgiving turkey. Even at that it was heavily compromised. See the carrots? I had attempted to stuff the turkey with scallions and carrots and celery instead of stuffing, because John was Atkinsing. It really didn't make for a very satisfactory meal, but at least I got my rutabagas in as well, just for me. This year I've got what I've been calling a "turkey roll," based on a 40-year-old memory of something my mom cooked once in the summer and it was horribly dry and awful. 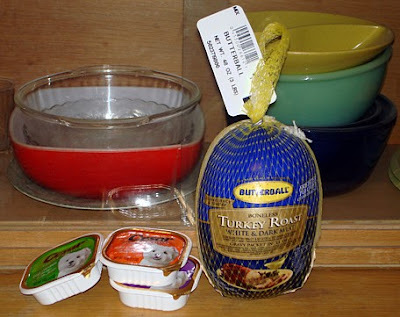 But the real name of what I'm cooking is a Butterball Boneless Turkey Roast, White & Dark Meat. These are kind of hard to get, so when I saw them at Safeway a week ago I bought two. (I've already cooked the first one.) I'd really rather get the whole turkey, but sometimes one just has to do the slightly depressing, sensible thing. In a choice between a lot of work and a lot of leftover meat vs. slightly less work, considerably less expense and not enough meat, I know John prefers the latter. And really, these white-and-dark roasts tend to come out pretty well, not too dry, no awkward bones or gristle. Again this year, John is doing Atkins. I'm not, but should be. So I'll make my one rutabaga and one yam and maybe one potato, and probably cook carrots or zucchini or something for John. No bacon, but I may try for a mini-portion of sausage stuffing if I can figure out how to do it. And I'll spend hours working in the kitchen for a meal John doesn't much care for, trying to recapture a tiny piece of my childhood by eating certain high-carb foods. Oh, yes. A merry time will be had by all. Except you know what? If I don't do this, I'll be thoroughly miserable. That's how it is. One thing is going to be different this year. St. Michael's is having a Thanksgiving pot luck after the 11 AM Thanksgiving mass. John said he didn't mind my going, so I'll be there, with Kevin and a bowl of rutabagas. It will be interesting to see who else likes them - and who else is willing to spend part of their holiday with their church family in lieu or (or in addition to) their real family. Okay, I wasn't sleepy until about a minute ago. Now that I am, I need to go to bed - but first I need to get this entry in! First off, in answer to frequent questions from Tuffy's well-wishers, I have no particular news to report on her health. She gladly ate steak fat scraps this evening, but was sporting a dirt-covered nose from burying dog biscuits, something she tends to do when she gets bored with them. She's energetic when we come in, and behaves normally other than the eating thing, but her wet snoot tells us that all is not well. Two treatments to go! The Tenth Doctor checks out the back of his "own head"
Today I've mostly been goofing off at the computer and watching Doctor Who - no surprise there, especially on a Saturday. 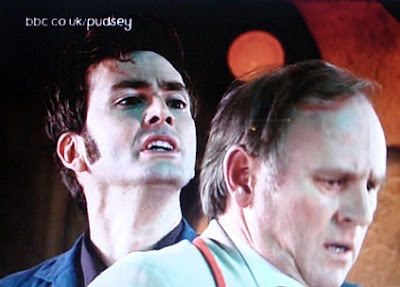 Friday was the premiere of "Time Crash" in the UK, which John tracked down for me online so I can watch it repeatedly. This is an amazing Doctor Who mini-episode, which aired as part of the BBC's annual Children in Need charity telethon. Although the clip is available online for a week in the U.K., for some reason the BBC website won't stream it to the U.S., which I find somewhat nonsensical and annoying. The Doctors differ on the virtues of the "desktop theme"
It's a cool thing, though. The 7:40 story is crammed into the 1:20 of "Last of the Time Lords," between Martha's exit and the crash into the Titanic. We know this because "Time Crash" actually begins and ends with the same footage (well, mostly). In between, the TARDIS has an emergency, as the result of which the Fifth Doctor turns up a few feet away from the Tenth as they both try to figure out what happened on the same TARDIS console. The Universe will blow up in five minutes, but the Tenth Doctor wastes most of that time enthusing about (and occasionally criticizing) the Fifth Doctor, who has no idea who this "skinny idiot" is until the Tenth Doctor spells it out for him. The Tenth nonchalantly performs a last-minute, extremely risky maneuver to save the day, but afterward confesses that the reason he knew what to do was that he remembered the Fifth Doctor seeing him do it! Best line: "What have you done to my TARDIS? You've changed the desktop theme, haven't you? What's this one, Coral? It's worse than the Leopard Skin!" Thus, writer Steven Moffat and the Fifth Doctor explain away 44 years of periodic changes in TARDIS design and decor. Heh, heh, heh. 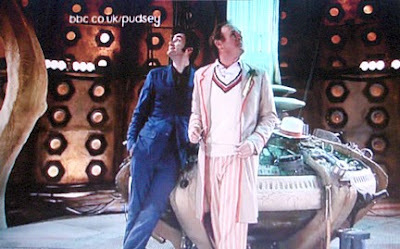 Second is the Tenth Doctor's farewell to the Fifth: "All my love to Long Ago." I have a few quibbles about this little masterpiece, but overall it's a fabulous bit of connective narrative between thus year's season finale and the upcoming Christmas special. Nor is it the first time I've enjoyed a Doctor Who bit made for the Children in Need appeal. Back in November 1993 I was practically in tears when an incomprehensible two-part Multi-Doctor story, "Dimensions in Time," was shown at a Doctor Who convention the same day it aired in the U.K. It was a crossover story with a show called EastEnders, in which the Doctor and his companion constantly changed from one actor and character to another. It's not considered canonical, largely because it's virtually impossible to make logical sense of the story. But it was the first new Doctor Who story in four years, and I was thrilled to see it. 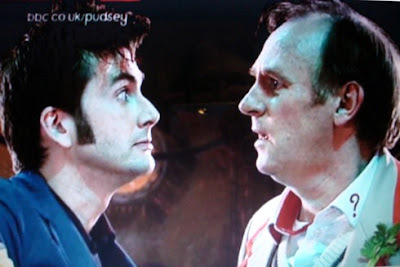 In November 2005 another new "Pudsey Cutaway" (don't ask) scene aired, in which the newly-regenerated Tenth Doctor had to convince Rose of his identity, and then went manic with post-regeneration instability, on his way to the coma that lays him out for most of "The Christmas Invasion." That one is canonical, and I've watched it a zillion times on DVD. I have the same main objection to both the 2005 and 2007 scenes: in each case, a character is more clueless about the Tenth Doctor's identity than really makes sense. The Ninth Doctor just finished telling Rose more or less exactly what was about to happen, but she still didn't believe it. I guess she was in denial. And a number of things the Tenth Doctor said to the Fifth were pretty clear indications of who he was, but the Fifth Doctor was too annoyed and distracted to pick up on them. Let's just say that in both cases it strains credulity a bit, although I love the scenes otherwise. I then sent the form. A pop up told me to wait, that it was processing. I clicked ok. That was the end of it - there was never any response at all to indicate that the donation did or did not go through. I then filled out a contact form to tell them about it. That one gave me an error message, repeatedly, when I tried to hit Send. So I ended up sending a note to the BBC Complaints Department. That one went through! Sorry, BBC! Sorry, needy children. I did try! And now it's ridiculously late, and I'm going to bed. I've managed to crash through a lot of time myself, procrastinating my way to the end of this entry. Good night / good morning! Meanwhile, in a novel in another room (Vampire Science), the Eighth Doctor just made everyone some breakfast. "Offer Three and Shoot One"
Put on your creative caps as it's an open challenge. Post three future challenge topics with your entry and then pick one of your topics to photograph for your challenge entry. "Offer three and shoot one," your choice! Karen, Carly and I will add your choices to the pool for use in future challenges. If you've already shared a few topics with us, don't fret as we can always use a few more topics swimming in the pool. Have I got some topics for you! These three ideas all came to me on the drive home from work this evening, more or less. For tonight I'm going with the first one, because I could photograph stuff for it indoors after dusk. But I'll be providing a sample photo for the other topics as well. Bottled Up - Show us a bottle. Is it glass or plastic? Is it old? Is there a message inside? Will the contents give you a buzz, or help you fight a cold? You decide! 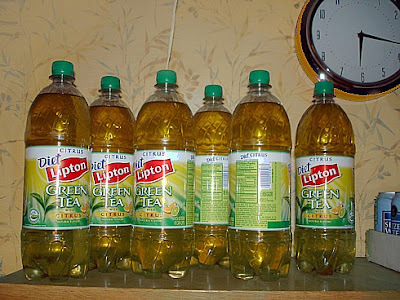 Here are six bottles of Diet Lipton Green Tea with Lemon. 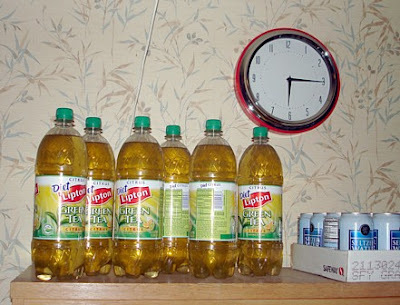 It may seem like overkill, but John was drinking this stuff at a fairly fast clip over the summer. Also, Safeway always seems to be down to its last two bottles of the stuff. So when they had a "Buy Two, Get Three Free" deal on them last week, I bought two and took a raincheck for more. I returned before the sale price ended, and was shocked to see they were fully stocked for a change. So I bought 2 and got 3 free, of course. But John had just given up drinking the stuff! Now he's drinking seltzer water instead - those blue cans on the right. So here we have the two I paid for, the three I got free, and one of the two I bought before. The remaining bottle is in the fridge. For this similar shot I subtly tinted the wallpaper and hutch to make them more tea-colored, and not so subtly recolored the clock. 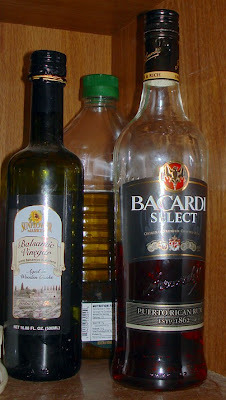 I don't know why there's an empty Bacardi bottle in the cupboard, above the dog biscuits. If this were the actual Challenge, I would be sure to get more interesting bottles, and film them in more natural light. The bottles reflect glare off the camera flash, and I haven't found a way yet to use that to my advantage. See the Music - Photograph something that illustrates music in some way. You can be literal, and show us your flute or your daughter singing, or illustrate a song lyric, or just evoke the mood of a particular piece of music. This is my recorder. I barely know how to play it, and I don't quite remember when or where I got it. It was probably close to a decade ago. The tone of this one reminds me of a pennywhistle, and I had a few of those over the years. 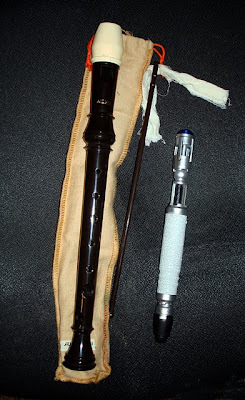 Aside from liking recorders due to their history and simplicity (which I do), I got it as an homage to the Second Doctor, who used to play one. He was also the first Doctor to use an early version of the thing next to it in this shot. I'll explain later. Charles O. 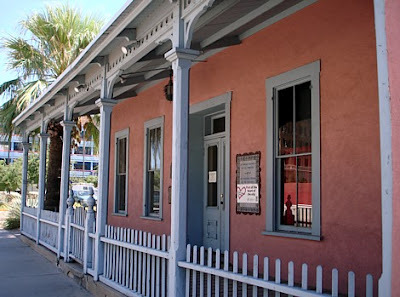 Brown House, downtown Tucson. Mid 19th century. The Old Place - Show us someplace that's been around a long time, preferably 50 years or more. It can be an interior or exterior or both. The spooky Victorian mansion on the corner is fair game, or the abandoned amusement park. Or go for someplace that's really been around a long time, such as Stonehenge, a canyon or a mountain range. As the caption says, this pink adobe house with the picket fence is called Charles O Brown House. It's one of several historic buildings I photographed on lunch break from jury duty, back on September 11th. You can read about this house and other Tucson historic sites here. Favorite Toy - Photograph a toy that has some significance to you or a loved one. What I have in mind here is actual toys, such as might be sold in toy stores and possibly even played with by children, rather than "big boys' toys" such as ATVs and motorcycles and RVs. Not that there's anything wrong with that. And that's why there's a sonic screwdriver next to the recorder. The sonic is my current favorite toy. Now let's go see everyone else's bright ideas! Weekend Assignment #191: Show us, or tell us a story about, change. A before and after picture of the street where you grew up, a story about meeting an old friend after many years, two pictures of yourself separated by a number of years, a tale about changing your life, or showing or tell us about something in the process of changing itself. Any of these is good. And doesn't have to be a negative, because sometimes change is a good thing. Extra credit: Do you feel that you are changing in some way right now? Thursday, August 16, 2007: I found out from a newspaper headline outside McDonald's that the company I worked for had just collapsed. Ten minutes later I was officially unemployed. Friday, August 24th, 2007: I accepted a temporary position at the business office of a regional retail chain, with a reasonable expectation of a permanent position to follow, for significantly higher pay than my last job. 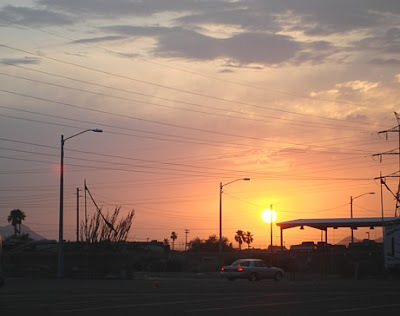 By that time I had been all but offered a job in Nogales, AZ and turned it down due to the hour-plus commute each way. Monday, September 17th, 2007: my boss told me that the company owners hired someone else instead, and my temporary job would end within a week. Thursday, September 20th: I have a job interview with a large vehicle retailer, and am hired on the spot. At more or less the exact same time, my vet is finishing surgery on Tuffy for three benign epidural tumors, and taking a biopsy of her tongue. When I get home, my rejected manuscript of Heirs of Mâvarin has arrived back from DAW. Monday, September 24th: I start my new job. It is an extremely stressful day, due to the large number of unfamiliar concepts and industry or company-specific terms and abbreviations. The person I'm replacing shows little interest in helping me learn. If she were teaching me to fly, the lesson would have been something like this: "This is a jet plane. This is the joystick. Be sure the DPQs match the RVMs. Here's a page of incomplete notes on how to fly. I'll check with you tomorrow to see whether you landed safely." Let me make it totally clear that the company, my boss, and everyone who is still with the company has been great, and even the person who was supposed to train me probably did her best in the time she had. But it's been tough to learn this new job under somewhat unfortunate circumstances. Wednesday, September 26th: I learn from a voicemail that Tuffy has cancer on her tongue, specifically a squamous cell carcinoma. Monday, October 1st: We take Tuffy to the oncologist, and leave her there overnight for surgery. They cut out a section of her tongue, assuring us that it will still work just fine once it heals. Tuesday, October 2nd: I bring Tuffy home. She is wobbly and miserable. Tuesday, October 16th: I'm stressed out at work because I think it's my predecessor's last day. Turns out her last day is the 17th, but I barely see her that day. Tuffy's oncologist calls. The pathology report has come back, and they didn't get all the cancer at the microscopic level. Monday, October 23rd: we are given a list of options for Tuffy, none of them good. We learn toward a third surgery, but it sounds horrible - a seriously impaired tongue and possibly a feeding tube. We take Tuffy home and start to think it over. Friday, November 2nd, 2007: our regular vet helps us break the stalemate in our consideration of Tuffy's options. We decide to do the palliative radiation, hoping to buy her two more years of life for $2,000. 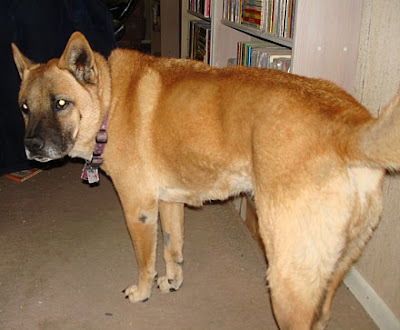 Tuesday, November 06, 2007: Tuffy has her first radiation treatment. She seems to do great, and is even hungry afterward. 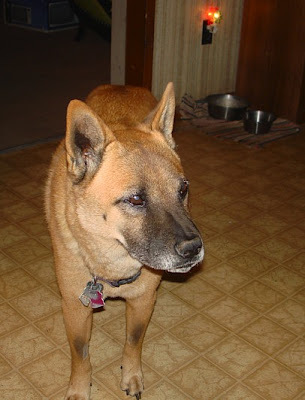 Tuesday, November 14th, 2007: Tuffy has her second radiation treatment. She trembles in the car all the way over, and the whole time she's at the vet's. I buy her fresh chicken strips to try to tempt her to eat. 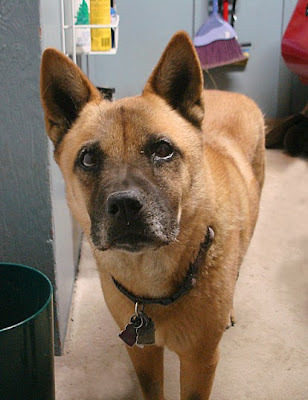 Thursday, November 16th, 2007: John asks me to call the oncologist about Tuffy's severe reluctance to eat, but after she eats a hardboiled egg, she says he's willing to wait and see over the weekend. We both think she's worse this week. Is she hurting, or are we reading in more than is really there? I catch myself thinking, "We're going to lose her." Also, John gets a raise. There you have it. Three months of major changes in our lives, piled one atop another. Concurrent with all that, Tuffy's been less and less willing to eat more and more of the things we offer her, and it's clear her tongue is more impaired than we were led to expect. I've been having intermittent back spasms, boils, and an outbreak or eczema or something like it on my left elbow from resting it on the arms of chairs while typing. Oh, and look at that! My feet are turning interesting colors as they start to swell up again. John is dieting, but I'm not even attempting that right now. I've slid into a minor case of depression, which makes it hard to face up to things like fiction writing and church webmastering, doing dishes and cleaning my office. I'm sure it's why some of my recent entries here have been a bit perfunctory; I tend to sit here waiting to come up with some idea for a post, until it's way too late to put things off any longer. Everything changes, from moment to moment. 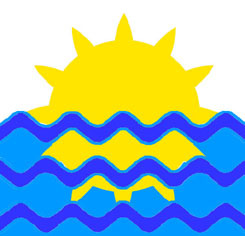 Even the sun. Change is inevitable, at every level of existence. Subatomic particles move about in somewhat mysterious ways. Cells grow and divide, die and are replaced (or not), mutate and become malignant. People grow up and grow old, and sooner or later they die. In the meantime they meet people, fall in love, fall out of love, make friends, lose friends, make enemies, make up, take up hobbies and lose interest, change jobs, have children, move, travel, have diseases, have pets, win awards, go to jail - in short, experience their own kaleidoscopic portion of the infinite variations of human existence. Species die out, the Earth gets warmer, and new superviruses arise. Seasons cycle past, and no two sunsets are alike. At the same time we moderate our environment, for good or ill or most often both, with new technologies and the same old shortsightedness. And the Earth and sun hurtle along unnoticed, and entropy increases. Do we really want to get off the roller coaster ride, to freeze the kaleidoscope in place? Some people get desperate enough to stop their participation in change with one final act, the biggest change of all. But most of us actually want change - on our terms. 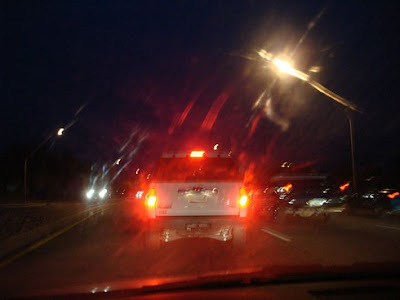 We want a faster computer and a better internet connection, an iPhone and maybe a newer car that doesn't make that awful noise at intersections. We want a better life, however we define it, and that requires change. We want to grow up and finish school, lose weight, get rid of the blemishes, find the perfect partner, stop the war, save the whales, solve the immigration issue, get a promotion at work, sell the novel, have a hit record or tv series, make or adopt a child, fix up the house, fix up ourselves, and sock money away so we don't have to keep working at age 80. Some of these things we'll get, others not. Some are partially under our control, and we have to decide how hard we're willing to work for change. And we have to take all the other changes, too, because that's the world, and everything has consequences. And even the good changes, like my new job, can be stressful. That, too, has its consequences. I know what changes I need in my life right now. I need to know that Tuffy is going to get better instead of worse, at least for a year or two. I need to know that I can learn the rest of my duties at work, and emerge from this depression so I can get back to my fiction and change the status of my novels from unsold and in flux to finished and published. And I need to change this bad habit of not even starting my blog entries until long after midnight. If I can make that last, simple change, maybe some of the other stuff will start to get better, too - or at least my perception of it. A poem involving the words "rhyme" and "time." Yecch. Didn't get past the first couplet. Lucky you! I can write decent doggerel from time to time, but you wouldn't have liked that particular _____. Some brief, impromptu fiction. As if. 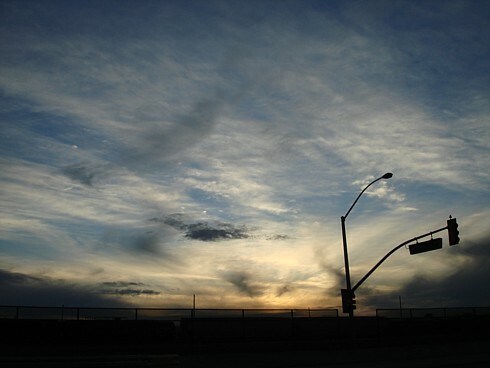 A sunset photo chosen more or less at random, taken this past Monday. All I've done is resize and sharpen lightly. An announcement that I just broke an unsolicited promise to someone at work that I'd go to bed before 1 AM. Some vague ramble about reading old Doctor Who books for the first time while I wait for more new stuff on tv, with reviews of a couple ten-year-old books. Illegal Alien (the Seventh Doctor tracks Cybermen during the Blitz) was particularly good. My reaction to a one-second clip of the Tenth Doctor taking liberties with the Fifth Doctor's face in "Time Crash," part of the Children in Need charity special airing on the BBC this Friday night. It's written by Steven Moffat and I trust him, but the clip made me squirm. I also wanted to urge you to vote for Doctor Who on the People's Choice Awards website, if you like Doctor Who, that is. If you don't like the current iteration of the series, then never mind. Perhaps I should apologize for mentioning that show this often. A full review of the new Murray Gold soundtrack. If I'd remembered this idea earlier I might actually have done it. In lieu of the previous, a brief reflection on the difference between soundtrack music and songs, due to their different purposes, with mention of Velton Ray Bunch, John Williams and of course Murray Gold. A report on what I did at lunchtime today. I drove all the way home, collected the dog, drove her to a McDonald's, bought lunch for myself and a double cheeseburger for her, drive home, threw the bun away and tore the burger up and put it in her dish. Tuffy didn't even eat all of THAT right away. But she did enjoy the car ride. I'm trying to get her to not be miserable whenever she's in the car, assuming she's going to the vet - which usually she is. John pointed out that she might think I take her to fun places and he takes her to scary places. I told him to take her somewhere fun over the weekend. Notes on the turkey roll I cooked last night, which took about an hour longer than it should have. Tasted good, though - and yes, I ate rutabaga with it. Dry run for Thanksgiving, I guess! An introduction to a Mickey Mouse Club serial I'll probably never see: Adventure in Dairyland. But I've got pictures now! Huh. And I thought I had no ideas for tonight's entry! And now I've blown through them all. sort of. Good night! Light over a pair of palo verde trees. "Open" sign notwithstanding, this storefront stands empty. 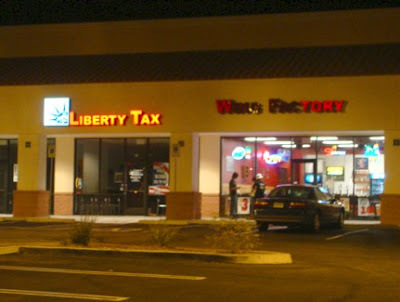 There's a Liberty Tax? And wings come from a factory? 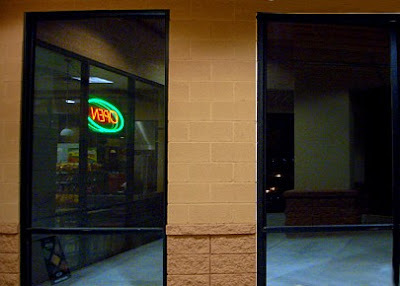 Another shot of that storefront.